At one time, Bunny’s life seemed perfect. After her husband retired from the professional tennis circuit, where they traveled with their two children around the world, they packed up and moved to paradise, Florida. But when their sixteen-year-old daughter was diagnosed with cancer, paradise quickly turned into a nightmare. As the family drifted apart, Bunny put her faith in God and fought for her daughter’s life. 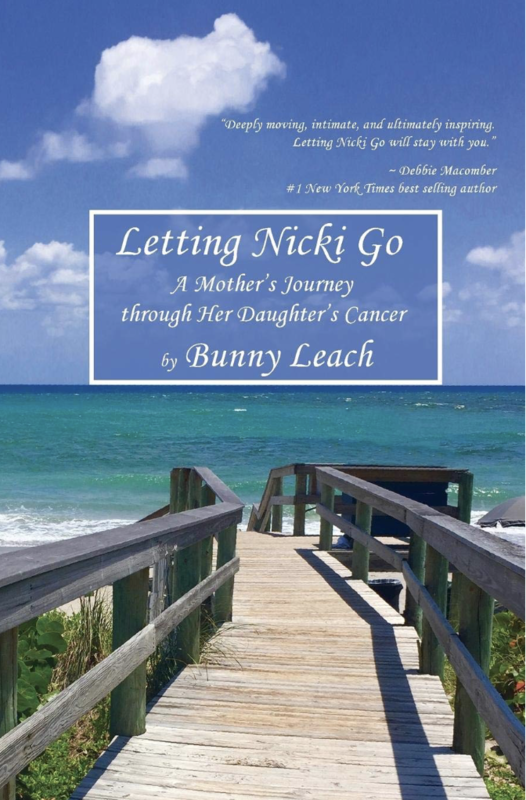 Letting Nicki Go: A Mother’s Journey through Her Daughter’s Cancer, a gripping memoir, is sure to tug at heart strings as she recounts her daughter’s battle against brain cancer and her own fight to be happy again. Click here to purchase it. 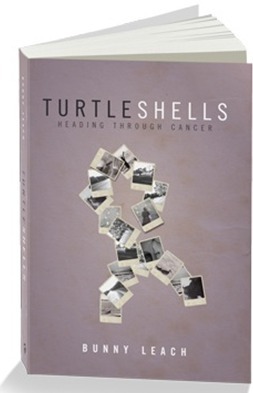 TURTLE HATCHINGS (Tate Publishing September 2016) is the sequel to Bunny’s first book TURTLE SHELLS: Heading Through Cancer (Tate Publishing March 2016). Her second book is a story of how she found love and learned how to “breath new life”. 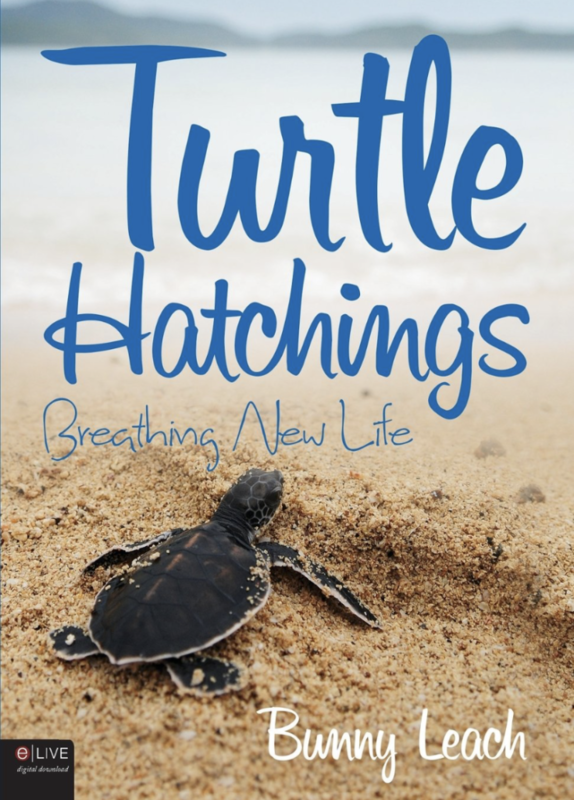 In Turtle Hatchings Bunny shows that through perseverance she found a path to strength and hope. Her expertise has been sought by many, resulting in interviews on several television programs and numerous articles in local and national periodicals which provide advice on life struggles and how to regain peace. She was recently consulted for her expert advice, which was published in a recent issue of Ladies Home Journal. She has also appeared on The Doctors TV show. Click here to purchase it. I first met Bunny Leach through an e-mail she sent me after reading my book, The Shop on Blossom Street. One of the characters, Lydia Hoffman, survived brain cancer as a teenager, and as the story begins, Lydia opens a yarn store in Seattle as an affirmation of life. Fittingly enough, Bunny found my book at a yarn store, one in North Carolina. Because of her daughter, Nicki, she immediately identified with the story and particularly with this character. But Lydia survived two bouts of cancer. Unfortunately, Nicki didn’t. 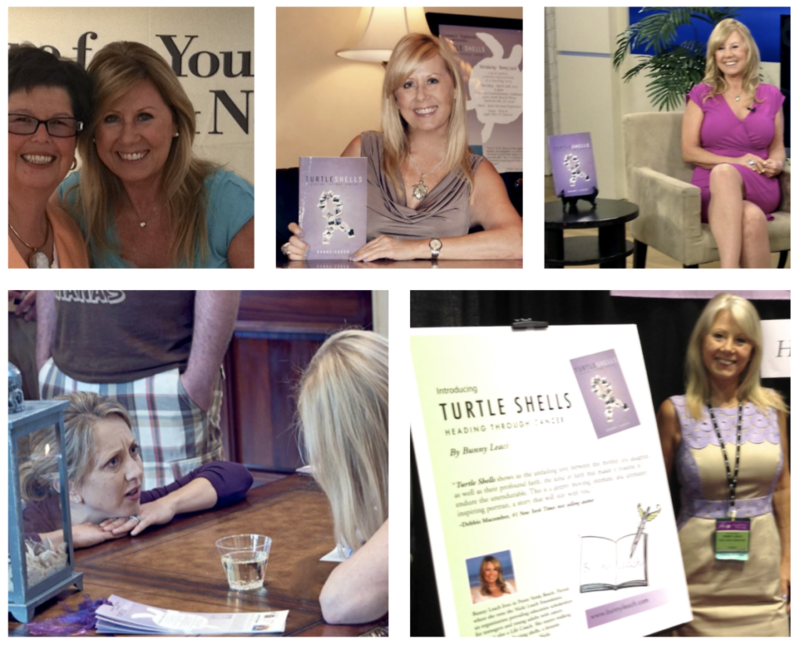 Eventually Bunny joined me at a book signing in Florida, and we connected not only as author and reader but as friends. The difference between my story and Bunny’s is that hers is a story she’s lived. In Turtle Shells, Bunny has shared the beauty of her beloved Nicki’s life and the grief caused by her death. Through Nicki’s illness, her diagnoses and treatments and then death, Bunny experienced one of the many truths about cancer. That it devastates not only its victims but their survivors. During those painful, difficult years, Bunny also learned to accept that devastation and turned it into something that would benefit others. She’s done it through this book and through The Nicki Leach Foundation, a non-profit organization that helps other young people with cancer. Join Bunny on her journey through faith, hope, love and loss… and brace yourself because the sun comes out again. Click here to purchase it. Elegant and rich a beautiful story of HOPE that everyone can take from.